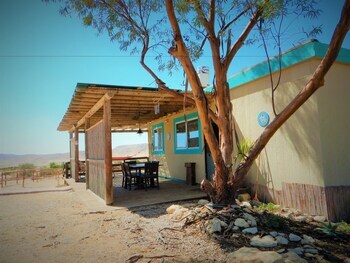 Located in Sde Boker, Boker Valley Vineyards Farm is in the mountains, within a 15-minute drive of Ben-Gurion's Tomb and Avdat National Park. Featured amenities include a business center, express check-in, and express check-out. Free self parking is available onsite. When you stay at Malkiya TravelHotel in Malkiya, you'll be within a 10-minute drive of Tel Kedesh National Park and Koach-Nabi Yusha Fortress. The front desk is staffed during limited hours. With a stay at Black and White Holiday in Had Nes, you'll be a 4-minute walk from Hexagon Pool and within a 5-minute drive of Yehudia Forest Reserve. Free self parking is available onsite.